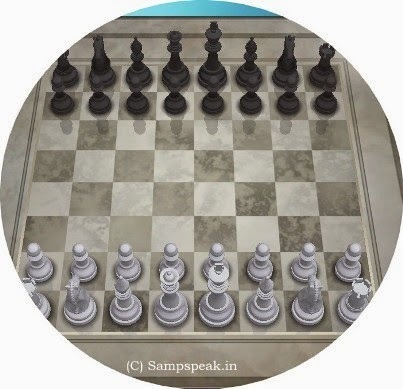 Away from Cricket, Football, Kabbadi Pro-league – here is something on Chess – something on ‘Chess Olympiad’ to be more specific. The Chess Olympiad is a biennial chess tournament in which teams from all over the world compete. The FIDE organises the tournament and selects the host nation. The first Olympiad was unofficial. For the 1924 Olympics an attempt was made to include chess in the Olympic Games but this failed because of problems with distinguishing between amateur and professional players. While the 1924 Summer Olympics was taking place in Paris, the 1st unofficial Chess Olympiad also took place in Paris. FIDE organised the first Official Olympiad in 1927 which took place in London. Recently, the 41st Chess Olympiad was organised by the Fédération Internationale des Échecs (FIDE) in Tromsø, Norway (350 kilometres north of the Arctic Circle) from 1–14 August 2014. A total number of 1,570 players participated at the Olympiad, with 881 in the open and 689 in the women's section. The event was also the last competitive tournament for Judit Polgár, the strongest female chess player in history, who announced her retirement from competitive chess after the end of the Olympiad. Playing as a reserve player for Hungary in the open section, she won a silver medal with her team and recorded four wins, one loss and one draw for a total score 4½/6. China won their first gold in the open event and remained the only unbeaten team in the tournament. Hungary was the Second, while India claimed Bronze finishing third. Indian team was represented by : Negi, Sethuraman, Sasikiran, Adhiban & Lalith Babu. The Nona Gaprindashvili Trophy is awarded to the nation that has the highest total number of match points in the open and women's divisions combined. The tournament was played in a Swiss system format. The time control for every single game was 90 minutes per 40 moves, with addition of 30 seconds per move and 30 minutes after the 40th move. A Swiss-system tournament is a non-elimination tournament format. There are several rounds of competition, but considerably fewer rounds than in a round-robin tournament, so each competitor (team or individual) does not play every other competitor. The games were marred by the news of death of two participants within hours of each other at the Chess Olympiad in Norway. The first death occurred during a round of chess at the Mack Hall in Tromsø city centre, the main chess tournament hall. Swiss-born Seychelles player Kurt Meier in his late 60s suffered a heart attack and collapsed. He received first aid on site before being taken to the University hospital of Tromsø, where he died. Then Alisher Anarkulov, an Uzbek representing the International Chess Committee of the Deaf was found deceased in a hotel room. According to local Police, there was no suspicion of anything criminal and declared as natural deaths. Nona Terentievna Gaprindashvili is a Georgian chess player, the sixth women's world chess champion (1962–1978), and first female Grandmaster. She is considered to be the strongest female player of her generation. In 1961, aged 20, Gaprindashvili won the fourth women's Candidates Tournament, setting up a title match against Russian world champion Elisabeth Bykova. She won the match easily, with a final score of 9-2 (+7−0=4), and went on to defend her title successfully four times. Aside, remember the death of Bob Woolmer during 2007 World Cup in West Indies. Woolmer played at Chepauk in 1977 under Tony Greg in that Vaseline controversy tour. Robert Andrew Woolmer played in 19 Test matches and 6 One Day Internationals for England and later coached South Africa, Warwickshire and Pakistan. On 18 March 2007, Woolmer died suddenly in Jamaica, just a few hours after the Pakistan team's unexpected elimination at the hands of Ireland in the 2007 Cricket World Cup.